Presented by Ben Valsler, Diana O'Carroll. 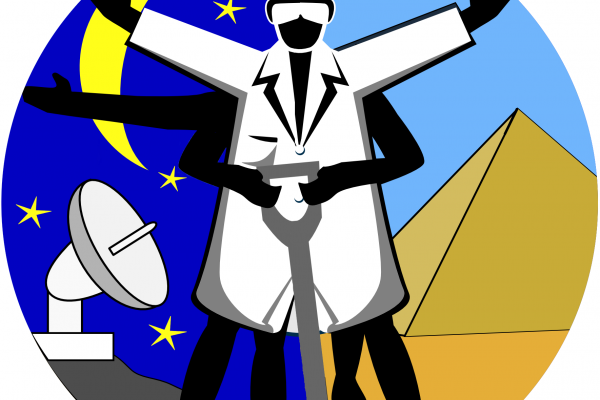 This week, we've got a roundup of recent news and interviews from the Naked Astronomy and Naked Archaeology Podcasts. Digging into Archaeology, Diana O'Carroll will be looking into Bronze Age burial practices, meeting some of our oldest known walking ancestors and finding out how past human migrations are written in our genes. while Looking to the stars, Ben Valsler explores the challenges of building extremely large telescopes, finds out how rubic's cube size satellites can help test new technology and consults a team of experts to answer your questions on dark matter, planets and spacecraft propulsion. 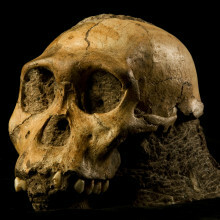 18:53 - Sediba - a newly discovered ancestor? Ben - The UK Space Agency has recently announced a pilot program, inviting companies and academics to device innovative ideas for payloads to be launched in a tiny cube shaped satellite called a CubeSat. To find out more, I spoke to Dr. Chris Castelli, Head of Space Science Projects for the UK Space Agency. Chris - A CubeSat is, as the name implies, a very small satellite. 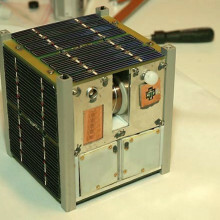 The basic CubeSat is cube shaped, so it has dimensions, 10x10x10 centimetres and it's a fully functional satellite. The sort of CubeSats you can buy are made out of standardised parts. So, this is perhaps one of the most important things to understand - the standardisation allows lots of suppliers worldwide to make the various components for the satellites. And you could source these and build these into a standard structure which is the CubeSat. So the basic building block, the 10x10x10 cube satellite is called a 1U. You can make bigger CubeSats. You can go to a 2U and I think probably, the largest size is a 3U, and as the name suggests, it's a sort of oblong shape satellite which is three units long. Ben - They're really tiny. When reading about these, I was picturing something perhaps the size of a desktop computer or something around that size. Ben - But these are really very small, aren't they? Chris - They are extremely small. Basic one unit CubeSats could only weigh just a few kilograms. And a lot of people have said, "Well what could you do with something so small?" and I think this is where innovation comes in to the equation. If you look at the power, the computing power that is available in your average mobile phone these days, it gives you an idea of the sort of sophistication that you can pack into a small unit now. What is happening worldwide is, people are realising that with very small satellites and advances that are made in microelectronics, putting those together forces people to think about clever ways of doing things, where you're limited in terms of mass and power and volume that you have. But nevertheless, you can actually do some exciting sorts of things with them. So, what we envisage is using a CubeSat as a vehicle, a platform for rapidly testing new technologies in space, for example, where you wouldn't have to go through the more classical route, which takes a very long time of ground base qualification, and testing, and more testing, before you get to really prove a technology is ready to go on a very expensive multi-million dollar satellite. You can use a CubeSat as a way of getting an in-orbit demonstration very quickly, very cheaply, and very effectively. Ben - What sorts of technology can you demonstrate with a CubeSat? Chris - If we take the area of space science for example, future missions that are going to the planets, to Jupiter for example or other planets, want to use more sophisticated plasma and magnetospheric instrumentation, they're very sophisticated, they use new technologies. A CubeSat, even though it's got small dimensions, could be used to test a new generation of plasma sensor, and get some in-orbit verification of how it survives the extremes of the space environment. So, just putting a new technology into orbit would be one way of using a CubeSat platform. It gets it into orbit in the environment of space, in the radiation, the cold, and the harshness of space, the vacuum of space, and you can get some real in-orbit understanding of how it has performed. The other application of CubeSats is that you can fly many of these. So what people are thinking about doing is, flying hundreds, or certainly 10s of CubeSats in a constellation of small satellites going around the Earth. And you can actually, with the advances that are made in imaging sensors, you can get very powerful sensitive imaging sensors with optics, into say, a 3U CubeSat. With constellation of these satellites whizzing around the Earth, you can pretty much get global coverage of any points from the Earth within 20 minutes, in a very cheap, and cost-effective way, which you can't do with any other system. So people are talking about launching maybe 60 or 70 of these things in orbits that swing around the poles of the Earth, and with multiple CubeSats as a constellation, you can get live images - almost live images, every say, 15 to 20 minutes of anywhere on the globe. Ben - How does launching a CubeSat or a constellation of CubeSats compare with launching a more traditional, larger payload? Chris - Again, it goes back to this idea of standardization. One way I look at it is, if you remember the early PCs - as soon as PCs developed in a way that you could slot cards from various suppliers, so you could get a disk drive from different manufacturers, you can get mother boards, and memory cards. You could assemble them altogether from standardisation, the cost really came down. So obviously, the cost through standardisation is a key driver. The fact that they are of this known mechanical interface means that low cost launchers provided by say, the Indian PSL rocket, they actually have standard attachments which are designed specifically for CubeSats to go on. So, you have a big science or telecommunications satellite that is being launched and around it are attachments on the launcher interface for CubeSats to go up at the same time. So essentially, the CubeSat is being piggy backed on the main payload which is paying for the launcher. What you have to pay for of course is the necessary licensing and certification, to make sure that these things are safe, are worthy, or have a mechanical integrity to go on to the launcher, and they don't sort of fall apart during launch, and damage the main spacecrafts, which may cost hundreds and millions of dollars. Ben - Why are CubeSats a priority for them? Chris - We're looking at this longer term. What we hope to have is a longer term program, a rolling program of CubeSat developments built on the experience of this pilot program. So the pilot program really is just a really cheap way of getting something off the ground, so to speak. What we want to do is have a long term program of maybe one or two CubeSats every year to 18 months, then, therefore have a rolling call of ideas. We could even have, for example, specific CubeSats which are just targeted at education - at schools, colleges and universities where students and teachers get together with help maybe from the industry, and from the CubeSat providers, to put little experiments onboard. So they act as a vehicle for inspiring and also training young engineers of the future. We want to sort of have a rolling program which then leverages opportunities for the UK in the future. Ben - That was Chris Castelli from UK Space Agency, explaining how CubeSats devices, barely bigger than a Rubik's cube, can help us to test out new technology in orbit. 35:21 - Will Cubesats increase the Space Junk problem? 42:31 - Does dark matter have structure? Does dark matter have structure? Andrew - Well firstly, normal matter in the universe is really clumped together. It's not evenly spread out through the universe, it's clumped, for instance into galaxies. Galaxies are collections of around 100 billion stars, and they're relatively compact, and there's a lot of relatively empty space between each different galaxy. Now, dark matter certainly does clump together in that sense. 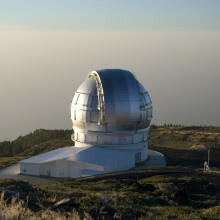 We know that for sure, from observations of galaxies. This was in fact the original evidence for dark matter, looking at the way that material like stars and gases moves around in galaxies, and inferring from that strength of the gravitational field in galaxies, and from that inferring how much stuff was there, and that's how we knew that there had to be dark matter. 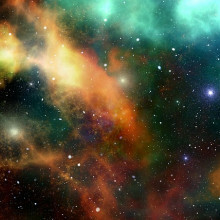 In fact, because there's so much more dark matter than normal matter in the universe - there's around five times more dark matter than normal directly visible matter - its clumping is incredibly important in terms of determining the kind of structures that form in the visible universe, and the existence of galaxies effectively owes itself to dark matter. So in that sense, there are structures in the dark matter that are similar to the ones you see directly in the normal matter. On another level though, we don't really know what dark matter is, and so, when we're talking about dark matter, we tend to be modelling it subject to some simple assumptions about what it's doing, and you get the best results for the evolution of the universe, matching what we see in the real universe, when you model the dark matter as completely non-interacting, except through gravity. So, other than the gravitational force which it exerts, and which it's also subject to, it's not subject to any other forces, for instance, the electromagnetic force which normal matter is subject to. In fact, the really interesting structures in normal matter arise through things like the electromagnetic force in all of chemistry for instance, and therefore, life really arises through forces like the electromagnetic force. And for that reason, the evidence at the moment would suggest that you can't have really complicated structures that will be required to create what you might describe as dark life forms. So, most likely, there's nothing quite that interesting going on in the dark sector, but until we really know what it is, we can't say for absolute definite. 45:45 - If the universe is expanding, are we getting further from the Sun? Carolin - Well this is about, not so much from the effects of dark matter on our solar system, but looking at more the effects of dark energy - so staying on the dark side. Space is expanding and it's carrying the galaxies along with it for the ride. They're all receding from us, and we think they're being pushed apart by a force that we call dark energy, and this is currently accelerating the expansion of the universe. But the curious thing is, that this dark energy, whatever it is, is a property of space. So the larger the distance between bodies, the stronger they push to drive them apart. Conversely, gravity - which we're a bit more used to - is a property of matter, and it's a pulling force, so that opposes the expansion, and the gravitational pull is stronger the more mass that's there, and depends on how close you are to it. So, whether the pull of gravity, or the push of dark energy dominates over a given region of the universe, depends on how much mass is there, and how widely separated it is. If they're far apart, the push of the dark energy wins, but if they're close together, gravity is going to dominate. You have to remember, in astronomical terms, our solar system is absolutely tiny. The planets and the sun, and all the constituents of our solar system, are very close together, and there's no question that gravity wins in that circumstance. Even on the scales of the galaxy, gravity is the dominating force. Even between groups or clusters of galaxies, gravity is gluing them together. You're only going to get this expansion of space on the very largest scales, where you have sufficient space that the dark energy can dominate. 47:40 - Will a laser work to propel a spacecraft? Will a laser work to propel a spacecraft? Dominic - Well yes, in theory, you could. The way that any rocket works is that it ejects material backwards and there's a principle of physics - the conservation of momentum - which says that if the rocket exerts a backward force on that material to accelerate it backwards, there must be an equal and opposite push, pushing your rocket forwards, accelerating it to move faster. And what matters is how much momentum the ejected material has, and that affects how great the push is forwards on the rocket. So, could you substitute the exhaust gases of a conventional rocket with a laser or light beam? Well, yes you could, because light is made up of photons which - although they have no mass, do carry a very small amount of momentum. So for example, if you put your hand underneath a light, then the light is actually exerting a very tiny downward force on your hand. You don't notice it because the force is so small, but it is there. So likewise, a light on the back of a rocket would push it forwards ever so slightly, but the problem is, this force is so incredibly small. I did a quick calculation this morning of what power of light source you would need to replace the thrusters on the Cassini Spacecraft in orbit around Saturn, which can produce a force of 440 Newtons, and the answer is you would need 130-Gigawatt light source. So that's equivalent to the output of several hundred power stations, all going into one light source. So, this isn't a terribly practical way of propelling the rocket. Andrew Pontzen - But of course, there are actually ways you can use the pressure of light. For instance, in solar sail technology, and I think there's just recently been an announcement that the solar sail of the Icarus spacecraft is being unfurled. Dominic - So this is a serious question because it's very inefficient to carry large volumes of rocket fuel around the solar system. So people will continually looking for new ways of controlling spacecraft and solar sails are one promising idea. How they work is you have a reflector which the sun exerts an outward force on, due to radiation pressure. 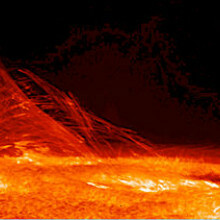 Also, the solar wind exerts an outward force. What the Japanese Space Agency are doing at the moment, is trialing this experimental solar sail Icarus, which is 20 metres across. And they're going to try and to glide it down in the solar system towards Venus, using the solar radiation pressure to control their direction as they glide through the solar system. It will be fascinating to see how it goes. Duncan - The first news item is the repatriation and recent reburial of the head of an Australian aboriginal warrior who was killed and beheaded by colonial settlers in 1833. In line with common practice at that time, his head was transported to England where it was put on display in a museum as an anthropological curiosity, and eventually buried in an unmarked plot in a cemetery in Liverpool. His head is now being finally laid to rest in a traditional ceremony in a memorial park near the site where it is believed the warrior was killed 177 years ago in Western Australia. Diana - Who was he? Duncan - We know bits and pieces from the Noongar of Western Australia. There are accounts from white settlers at that time. His name was Yagan and he was the leader of the Noongar tribe at the time when British settlers were first moving into the area around modern day Perth. 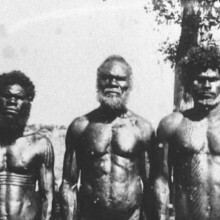 Relations between the Noongar and newly arrived British were initially very good, but sadly this harmony didn't last and there were misunderstandings regarding land management practices where white settlers were essentially fencing off land for farming. Now Yagan and the Noongar led something of an uprising against this and as a result, were implicated in the killing of several settlers. They were declared outlaws and reward was offered for their capture. Diana - But what happened next? Duncan - But Yagan wasn't without sympathy from members of the settler community, but even so, on the 11th of July, 1833, Yagan was killed by two teenage brothers and his head was cut-off to claim the reward. The head was transported to England and eventually put on display in Liverpool Museum. Diana - That sounds more medieval than 19th century, but what's happened since then? Duncan - Well the Noongar people have been campaigning for the return of Yagan's head since the early 1980s, entrusting tribal elder Ken Colbung with the task of locating the head in England. Then he used the help of University of London Archaeologists, Peter Ucko and Cressida Fforde and successfully located the head in 1993. But it took nearly six years for it to be repatriated to Western Australia, due to political wrangling and reported divisions within the Noongar community itself. It's taken another 12 years for his remains to be reburied. 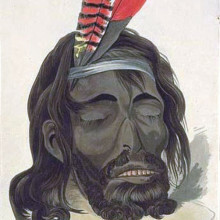 The delayed reburial of the head, which took place in the 10th of July, the last full day Yagan was alive 177 years ago, was due to disputes over the actual location of the site where he was killed. Now the site is now the Yagan Memorial Park and the traditional ceremony was attended by around 300 people including Noongars and state representatives. Diana - That's quite a turnout, but do you think that this will prompt the repatriation and reburial of other remains of aboriginal people which are in museum collections all over the world? Duncan - That's absolutely right. This certainly isn't a new phenomenon. In fact, the repatriation of aboriginal remains has been going on for quite some time now. I was attending the World Archaeological Congress in Dublin in 2008 where the issue of repatriation of human remains was very much on the agenda. The overwhelming feeling among the archaeological community is to work side by side with the descendant communities to bring the remains of their ancestors back and rebury them according to their traditional beliefs. I think we'll see much more of this in the future. Diana - An archaeological discovery at Stafford Castle can tell us something of the early relationship we had with domestic pets in the 19th century. Duncan - So what have they found at Stafford Castle, Diana? Diana - Archaeologist Dr. Richard Thomas from the University of Leicester discovered a rather unusual leg bone amongst the skeletal remains of cats and dogs in the castle grounds, dating to the late 19th century. The leg bone was identified as belonging to a tortoise - perhaps the earliest evidence of such an animal being kept as a family pet in Britain. And these finds have been reported in the journal Post Medieval Archaeology. Duncan - How do we know the tortoise was being kept as a family pet? Diana - That's a good question. The fact that it was discovered alongside the remains of cats and dogs is a good indicator that this tortoise was being kept as a pet by the caretaker family, and they were living in the castle at that time. So, Dr. Thomas stated that whilst there is archaeological evidence in Britain for turtles and terrapins from the 17th century onwards, these were largely kept for food, and the discovery at Stafford Castle is the first evidence we have for a land tortoise. Now the 19th century was also a turning point in the general attitude society had towards animals as domestic pets. Duncan - What do you mean? Diana - In medieval and early modern Britain, society was deeply religious and the morality of keeping animals as pets was highly suspect. So exotic creatures, particularly those from outside Europe, generated a great deal of curiosity and fascination. But to keep them as companions was socially unacceptable. So, domesticated animals were kept for food, milk, cheese, butter, meat, wool, leather, and so on, and so on. In the case of dogs, many were kept obviously for hunting and herding. However, things began to change in the 17th century with the dog-loving Stuart Kings. Duncan - Yes, I love those 17th century portraits of members of the House of Stuart, sitting alongside their fluffy-eared King Charles Cavalier Spaniels. Diana - Exactly right and dogs especially were seen as wonderful companions to have around the house or in their case, the palace. And so, certain animals were now seen in a different light and the famous 19th century Sculptor Joseph Scott, created a number of very sentimental sculptures of animals and in 1822, the British government passed the Richard Martin's Act which prevented cruelty to farm animals. This paved the way for the Foundation of the Society for Prevention of Cruelty to Animals, in 1824, which was the first animal welfare charity to be established anywhere in the world and it was granted its Royal status in 1840 by Queen Victoria. Duncan - What an incredible achievement and something that I think we should all be very proud of. I guess the founding of the RSPCA set into motion all kinds of wonderful movements around the world, dedicated to animal welfare issues that continue on to this day. 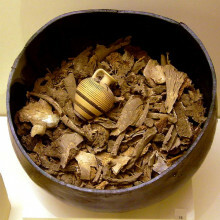 But what of our tortoise bone at Stafford Castle? Diana - Well tortoises were unusual, but it was this age-old fascination with the exotics that made them desirable as pets around this time, but suddenly their popularity in the 20th century meant that thousands of wild tortoises were transported from the Mediterranean and North Africa to the UK, but they suffered terrible conditions, only to end up as pets in households which couldn't look after them properly. 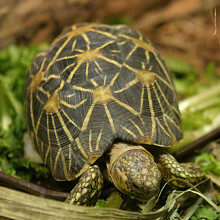 It was only with European legislation in 1988 that made the trade in wild tortoises illegal. Duncan - So there is a happy ending.